I love red and coral lip colours and like these equally as much as the other. If you have read any of my 'meet the blogger tags' you will know by now that I am more of a lip stick than a lip gloss gal, if you didn't know, then you do now :-). 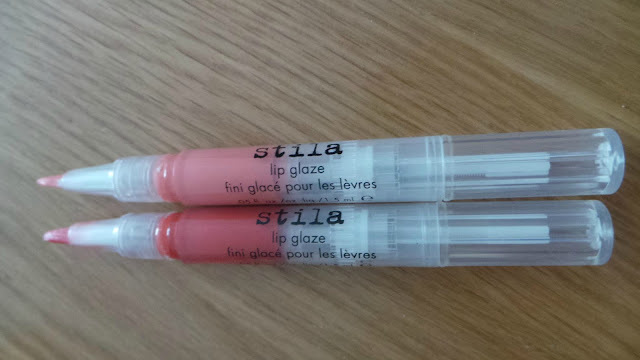 In saying this Stila Lip Glazes are the exception to the rule. . . I adore a Stila lip glaze. 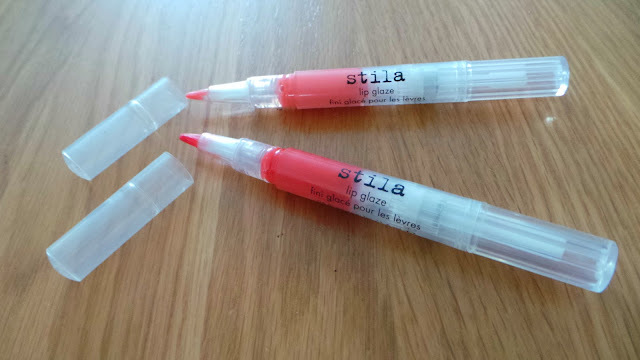 Stila lip glazes come packaged in these very clean pen like plastic tubes, with turn nozzles at the bottom which brings the glaze to the small lip brush at the top. I particularly like this packaging as it keeps mess to a minimum. No fuss no bother, turn apply and go! It is easy to pick out your favourite glaze as the colour it is clearly visible. The consistency of the glaze is quite thick and a little sticky but this doesn't put me off, it applies easily and isn't overly tacky. 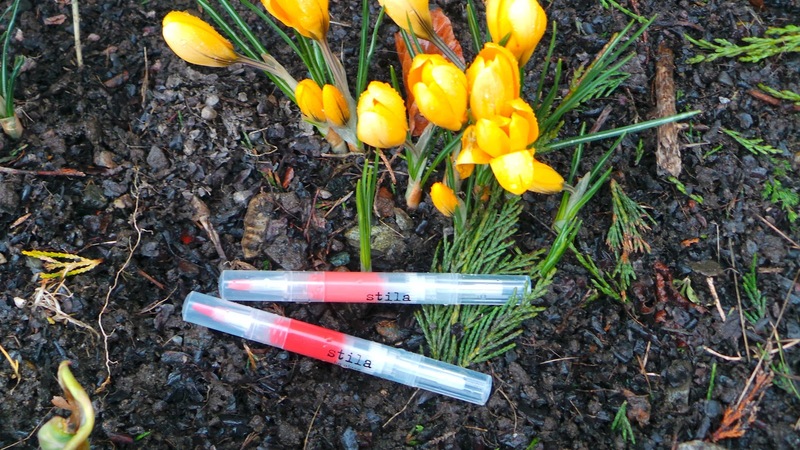 I also find it very durable - only topping up every couple of hours - unless i've had any refreshments. They smell absolutely divine. 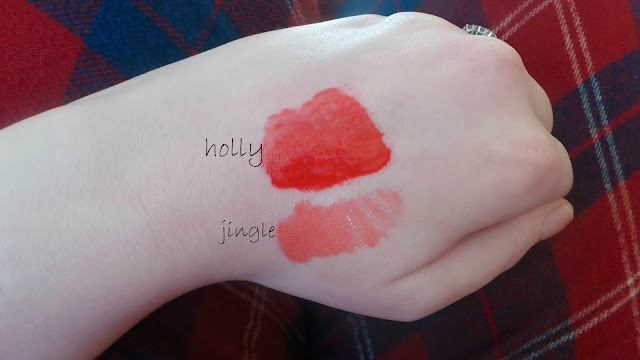 I bought these colours, Jingle and Holly, from Miss Makeup Magpies blog sale because I believe they are exclusive to the 'All is bright Glaze set' and aren't available for individual sale. 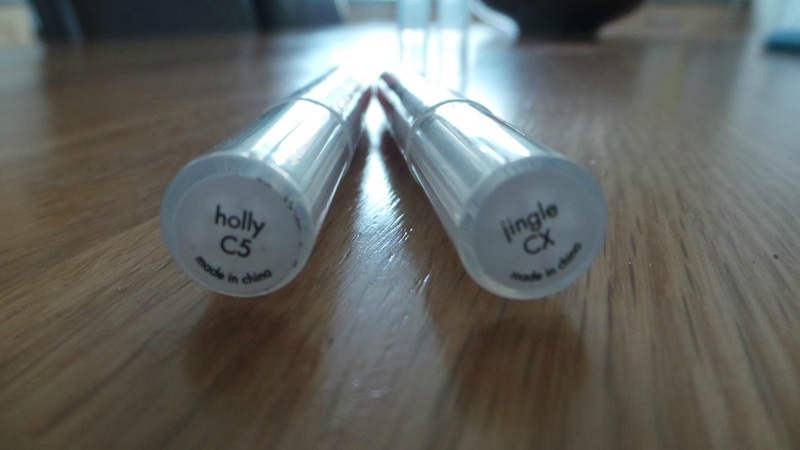 I noticed on the Stila Website that the complete All is Bright Glaze set is now reduced to £12.95 and contains 8 different shades at 1.5ml each. This set is worth £75, If you fancy checking it out you can do here. Stila has a wide selection of individual glazes in tones of other colours retailing at £15 each for 2.5 mls, there is a colour for everyone. The colour Jingle looks beautiful!!! Oh my, they look so lovely! The colours are so gorgeous. 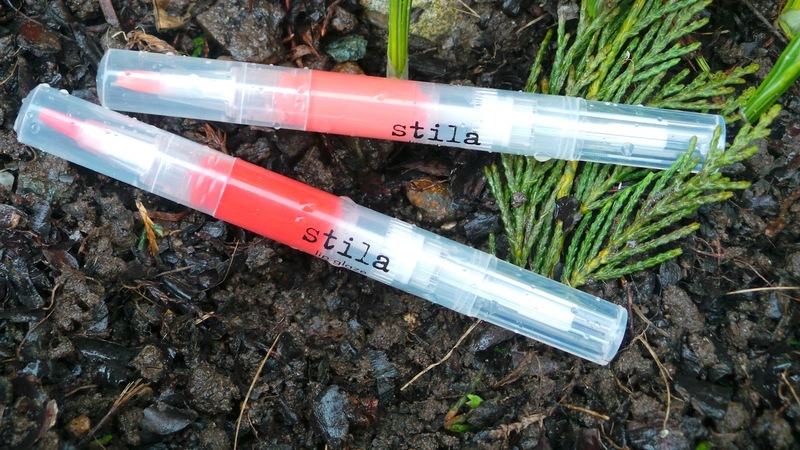 I've never tried anything from Stila but have been wanting to for months!